Lacrosse leathers are only as good as the hides they are cut from. 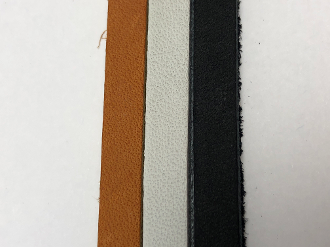 Our leathers start from hides that are produced to provide leather that has a naturally consistent thickness for lacrosse leathers. The hides are then tanned using a formula that works with the leathers and reinforces their natural strength to provide a tight fiber structure. This produces a lacrosse leather that is strong, long-lasting and easy to string with. 1/4"x24" or 1/4"x36"